The Department of Public Works reports that main/secondary thoroughfares are in fair to passable condition and 22 snow removal crews are currently deployed to service secondary streets through the evening. At approximately midnight, the Department of Public Works will deploy 45 snow removal crews in anticipation of expected snowfall and to prepare streets for the morning commute. Snow removal crews will focus efforts on servicing secondary streets until a snow or ice storm occurs. During a snow and ice event, service is provided to the primary main/secondary thoroughfares in the city. 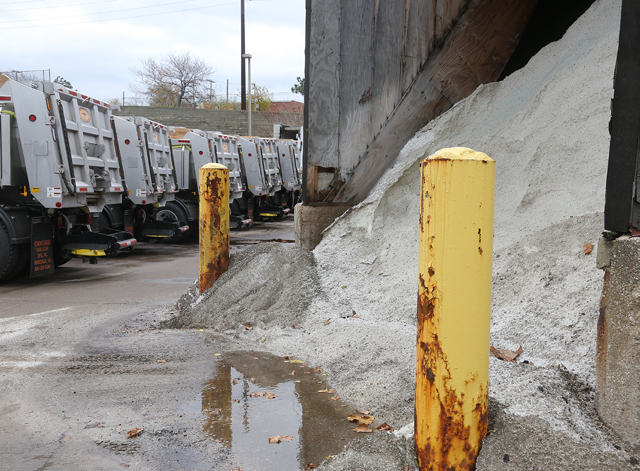 Currently, the city has 16,000 tons of salt available to treat roads and 28,000 tons of liquid de-icer. Please park off-street whenever possible. This allows plows to have curb-to-curb access and clear streets of snow more effectively. Stay off the streets as much as possible for their own personal safety and to allow snow plows greater access to the city’s roadways. If you must travel, use caution and remember not to “block the box” at intersections. Plan ahead for the morning commute and allow extra travel time. Pay attention to local news for weather advisories.